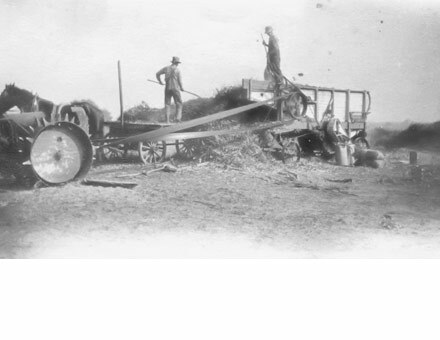 Typical scene of a San Joaquin Valley grain harvest in the early late 1800's, or early 1900's. 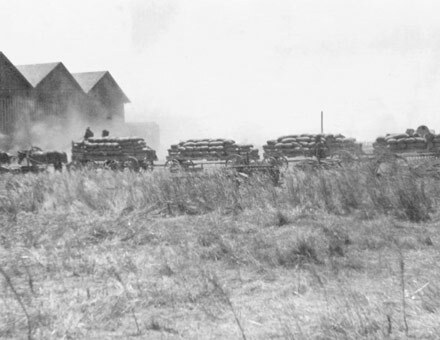 A stationary harvester on the Barton Ranch around the time P.F. 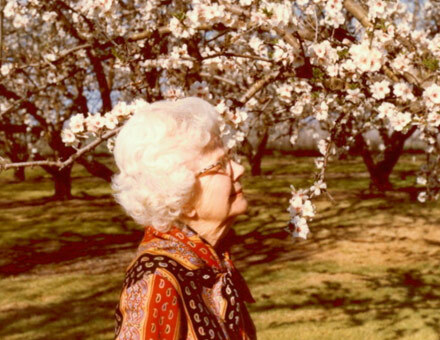 Barton purchased the ranch in 1912. A prune dipper constructed by R.P. and H.W. Barton, circa 1920. Prune dipping involved dumping boxes of prunes into the dipper, running them through a sizer and onto trays which were loaded on cars. Initially the fruit was sun dried until the Barton Bros. developed a dehydrator that dried the fruit. 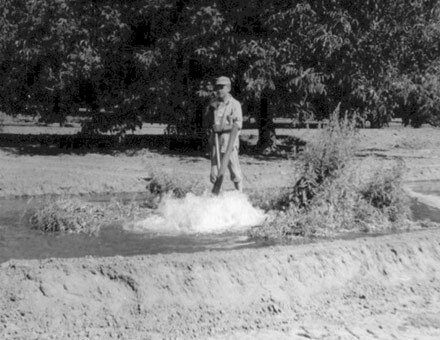 Flood irrigation on the Barton Ranch in late 1930's or early. 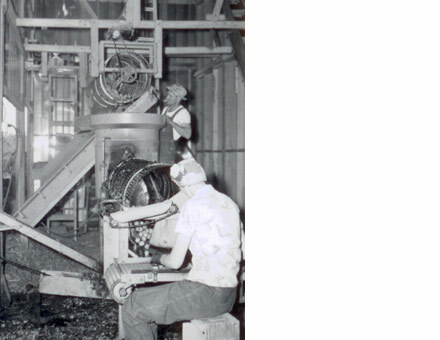 The ranch's first bulk walnut hulling plant, designed by R. P. Barton about 1950 and manufactured by R. P. Barton Co. 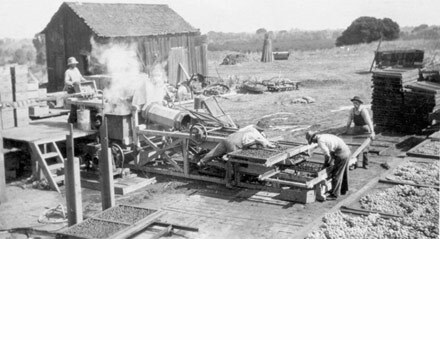 Originally located at the site of the present huller on the Escalon ranch. 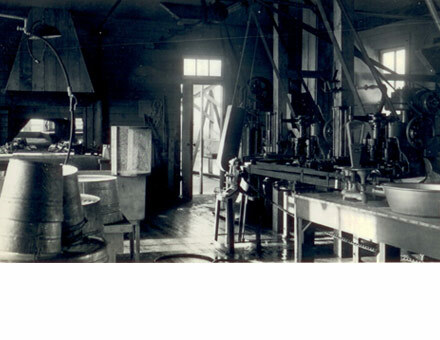 The original Barton Ranch machine shop where the Barton Huller was invented by R. P. and H.W. Barton. 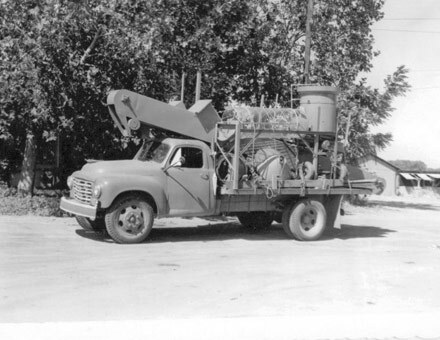 1950 Studebaker truck loaded with Barton Huller, a hull elevator, and other equipment manufactured by R. P. Barton – ready for delivery to a customer. 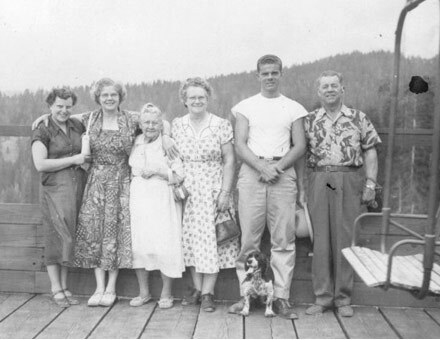 At the top of the Dodge Ridge Ski Lift, in 1953. Left to Right – Unknown, Alice Barton, Elizabeth Barton (Grandma was the oldest person to have ridden this at that time), unknown, Jerry Barton, Paul Barton, and Bubbles, the cocker spaniel. 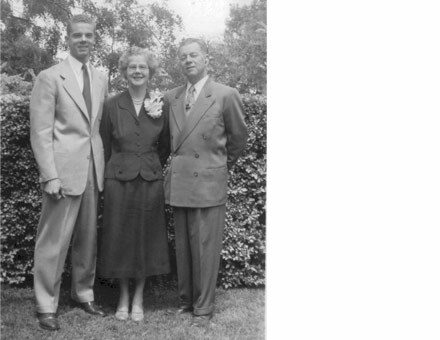 Jerry Barton, with parents, Alice and Paul Barton – Easter Sunday, 1955. 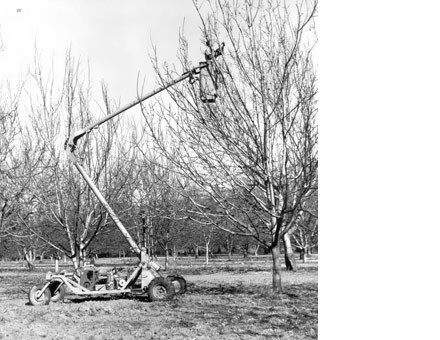 The first Barton Pruning Tower, designed by R. P. Barton in 1958 and manufactured by R. P. Barton Co. 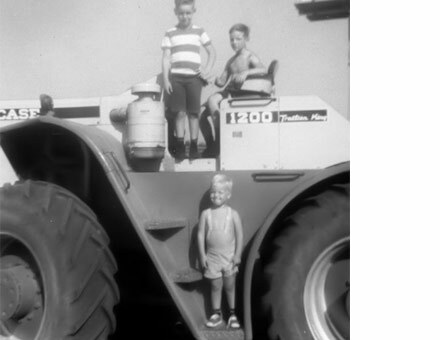 The Barton Brothers – Don, Gary and Brent in 1966 or 1967. 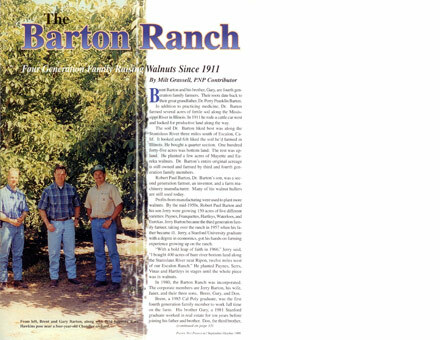 The Barton Ranch featured in Pacific Nut Producer, October 1999. Left to Right – Brent, Gary and Ross Hawkins.